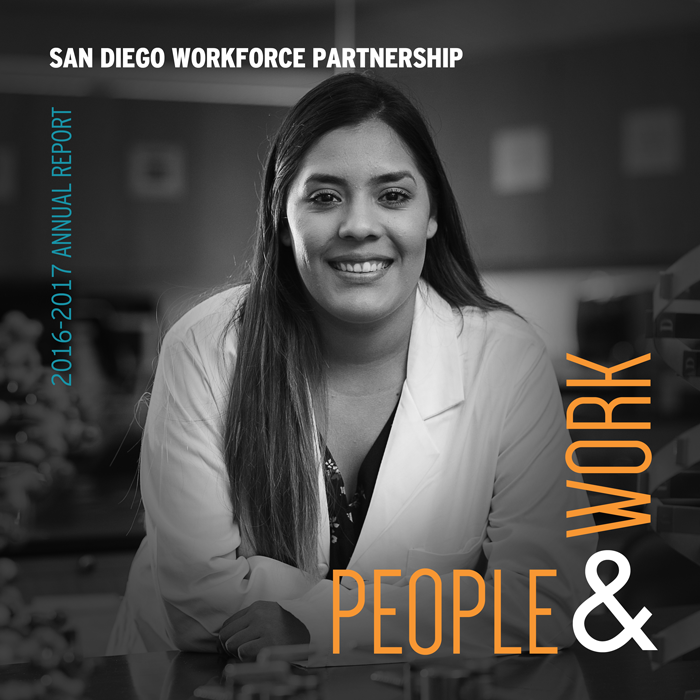 The San Diego Workforce Partnership Annual Report 2016–2017 highlights the steps the organization made this past year toward realizing our vision of every business in San Diego Coun­ty having access to a skilled workforce and every job seeker having access to meaningful employment. The report features our collaborations with regional partners, which enabled us to serve more than 29,000 San Diego County residents in their pursuit of quality careers. Click here to see the animated report.